Your first breath took ours away! The letters was joined and painted white in front with a distressed look on the sides. 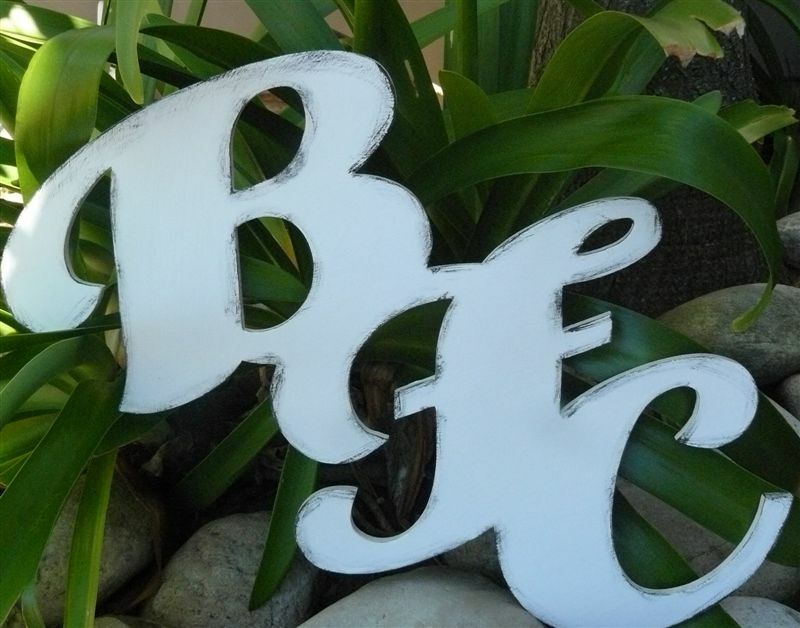 The bride will use these letters for her guests to write a message. Height approx 40cm on 6mm.